Gilbird: Dream homes in Mumbai! Mumbai is the financial capital of India and has seen immense real estate development over the last few years due to high demand for residential and commercial property. Every year thousands of people move to the city in search of excellent job opportunities and growth. The lively city is known for its excellent weather, leading educational institutes, job opportunities, film city, etc. which makes it desirable for home buyers. To meet the growing demand from home buyers, Sunteck Realty has launched a new residential project known as Gilbird Andheri(W), Mumbai. The residential complex has 2 BHK and 3 BHK apartments ranging from 596 sq. ft. to 892 sq. ft. The homes are designed purposefully to satisfy the desires of the modern home buyers. The apartments have been designed in such a manner to give maximum space utilization. The property is made with modern elegance to accommodate every buyer’s expectation and desire. The gated community offers excellent security and privacy for your peace of mind. The complex has a wide array of internal and external amenities for home buyers. Including various indoor games and state of the art gymnasium, among others. The property is fitted with high-speed internet that is efficient and reliable. There are excellent lifestyle amenities which include a kids’ play area, gymnasium, jogging area, and sit-out areas within the property. 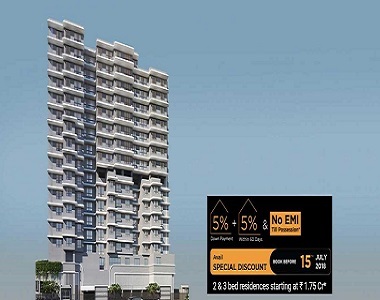 Gilbird Mumbai is one of the most sought after property in the area. Andheri is one of the fastest growing areas of Mumbai and has seen excellent real estate developments over the last few years. It is one of the largest parts of the city and is well-connected to surrounding areas. The Western Express Highway, Swami Vivekananda Road and New Link Road are some of the well-known roads which run through the area. It has an extensive bus service and the Oshiwara Bus Depot and Andheri Bus Depot are close to the project. It has its own suburban railway station. Jogeshwari, Ghatkopar and Andheri railway stations are also just a few minutes from the project. The area is a few minutes drive from the international airport and has an excellent road network. The area has a number of leading schools, colleges, hospitals, commercial zones, offices, and much more. The area is expected to give excellent returns on investment over the next few years. 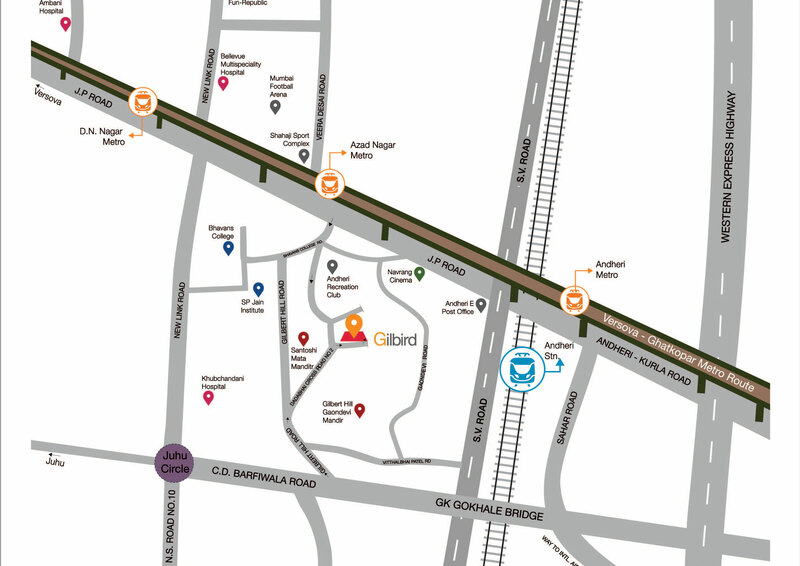 Gilbird Mumbai has been located strategically to ensure that almost all the basic social structures and civic amenities are within the reach of the residents. The homes are a convenient and affordable investment opportunity. Gilbird price starts at just Rs 1.75 crores and goes up to Rs 2.45 crores. The developer has teamed up with a number of major banks to ensure hassle free payments. Invest in the property and secure a place to call home now!